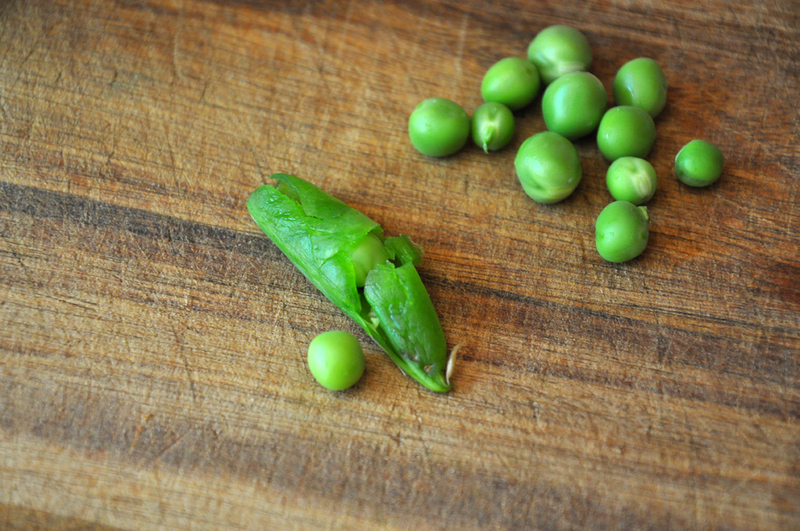 It took me only five minutes to shell 1/4 cup fresh peas - go in season over frozen! Soft and translucent, not browned - you just want a subtle hint of onion. 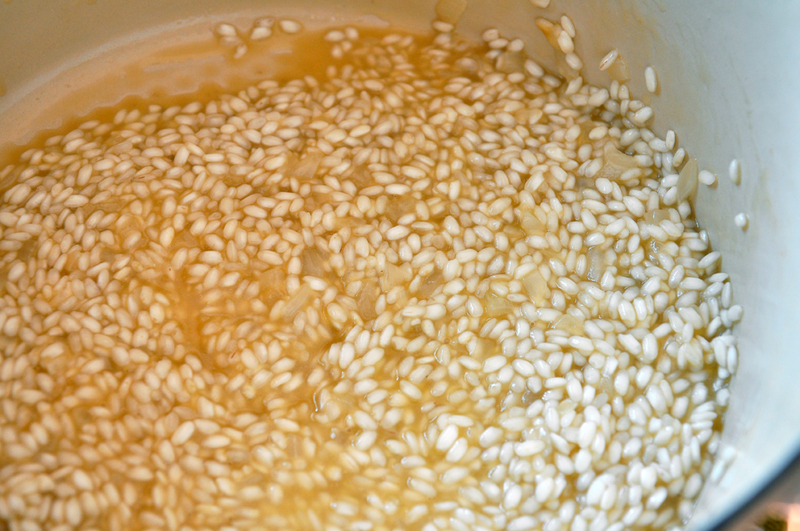 It's important to add the liquid one cup at a time so the rice has time to absorb it - don't drown the arborio! Put the stock and wine in a small pot over low heat to warm. 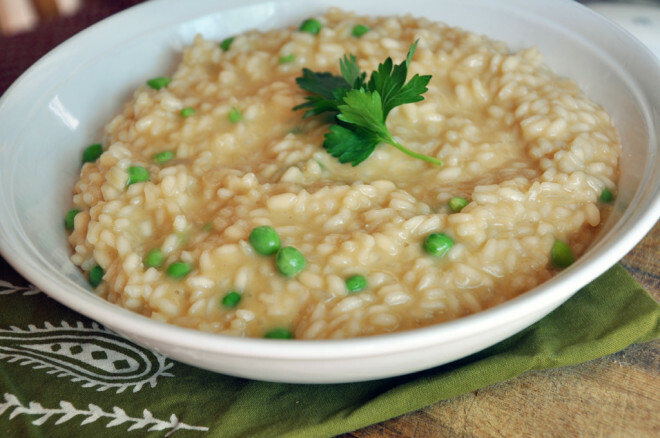 Pick a medium-sided pot for the risotto so when you stir the liquid doesn't jump out. 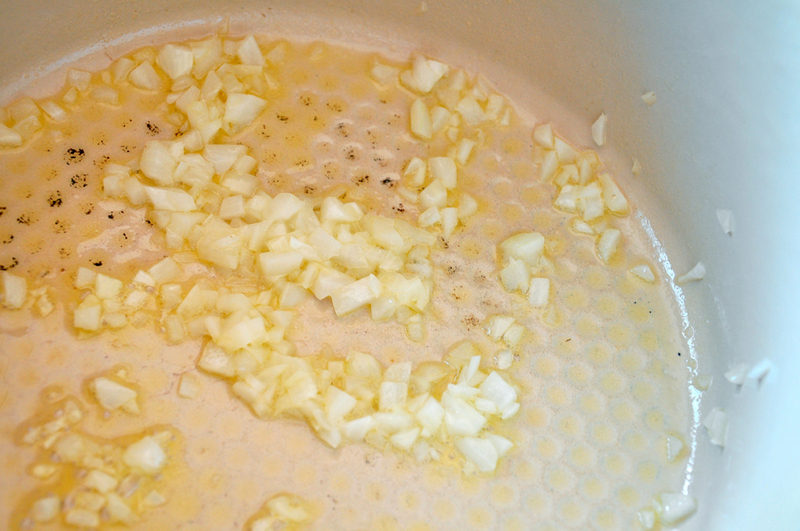 Melt butter over medium-low heat and then add the onions. Saute until translucent, about 3-5 minutes, being careful not to brown them. Add the rice and toast for 2-3 minutes. Then add one cup of liquid and stir constantly until it is mostly absorbed. This was 2 minutes for me. Add a second cup of liquid and stir again until mostly absorbed. This was 7 minutes for me. 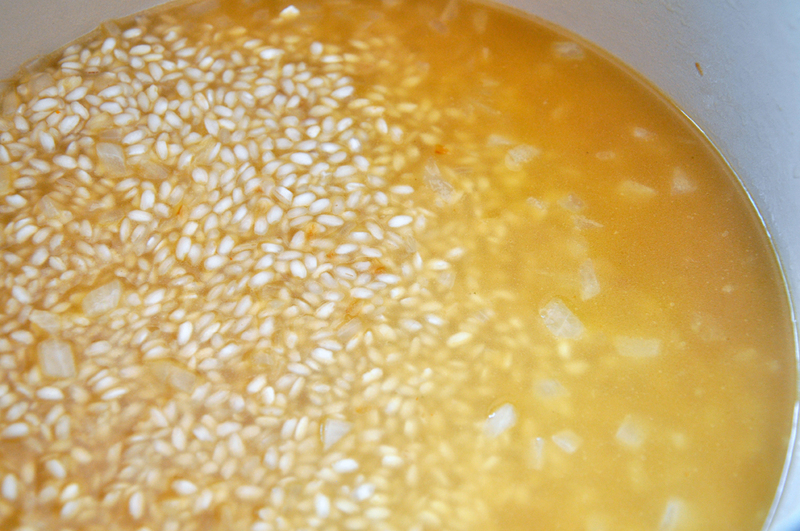 Add the last cup of liquid and keep stirring until the rice is still al dente and the mixture is creamy. This was another 10 minutes for me. Remove from heat and stir in peas and cheese. Serve immediately or the rice will become overcooked.